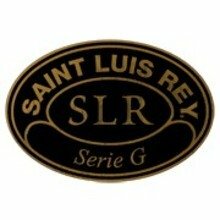 Saint Luis Rey Serie G Rothchilde is a thick cigar offering bold flavors of nuts, earth, leather, and cocoa with a nice spicy twist. These cigars are handmade in Honduras with a smooth Nicaraguan binder, a flavorful blend of aged Nicaraguan and Honduran long fillers, and a deep brown Nicaragua Habano wrapper. 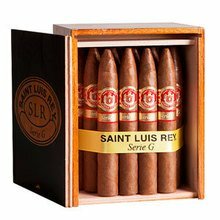 Bold flavors of nuts, earth, leather, and cocoa with a nice spicy twist make this reasonably priced 5-pack selection a must try smoke. 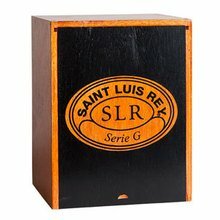 Your bid for boxes of Rothchilde at $ per box is confirmed and will be added to your cart if your bid is successful.